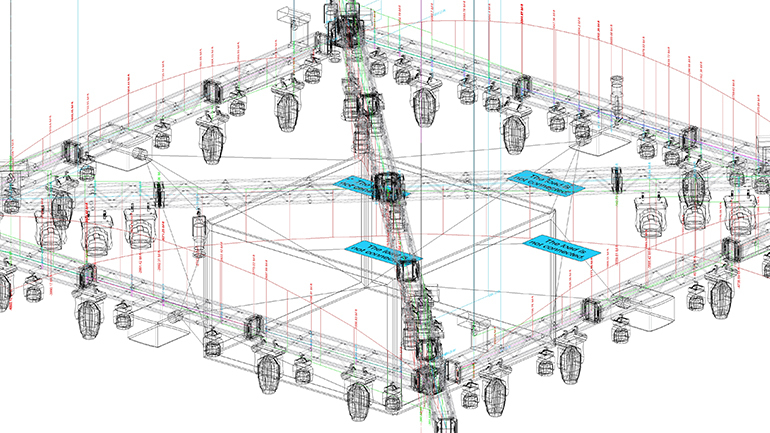 Join Ethan Gilson, ETCP Certified Rigger at Entertainment Rigging Services, LLC for a free, one-hour webinar as he demonstrates the efficiency of using a rigging analysis tool with entertainment design software. Through a case study example of a 192-mile bike ride fundraiser, Gilson will show attendees how load calculations can be done more efficiently and accurately, improving your workflow process. Understand the evolution of conducting load calculations in the pre- and post-CAD software eras. Discover how the Braceworks™ add-on module for Vectorworks® Spotlight increases safety and compliance within one interface. Learn how to conduct your own load calculations using Braceworks to save time on projects and reduce the number of errors. Explore how Gilson uses Braceworks to model suspended loads that create an accurate representation of the forces at play across the entire length of the beam.